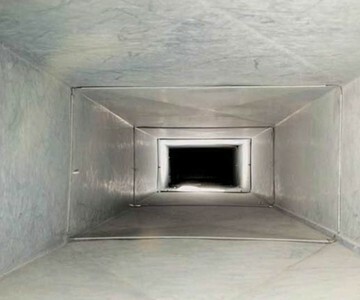 Does Air Duct Cleaning Matter? For nominally healthy people, there is a wide degree of susceptibility to reduced longevity from exposure to particulate matter. When you are in a business or home that runs a central air conditioning or furnace, you are constantly exposed to whatever is in your ducts via the circulating air. That is why HVAC services encourage you to include air duct cleaning in your HVAC system maintenance. Proper duct cleaning will reduce the particulates and allergens that can affect many of us and cause hypersensitive immune reactions. The air duct cleaning process scrapes the dust and particulates from the walls of your ducts and reduces your exposure to possible allergens. If you have ever seen the particles of dust floating in a sunbeam, you have some idea of how much particulate is in the air around you. In fact, the average cubic inch of air contains 100,000 particles. In smoggy cities, this can reach 5,000,000 particles per cubic inch. As air passes through the air conditioning and heating units and duct work of the home, it is only a matter of time before those particles begin collecting on the unit and duct interiors. These accumulated particles will include anything and everything that floats in the house or comes in from the outside. Animal and human skin flakes, ground up stone and dirt particles, hair, mold spores, bacteria, vehicle exhaust fumes – all of these and more begin to collect on the duct interiors, fan, cooling and heating elements, filters and registers. The frequency with which one should have their ducts cleaned will depend on many factors. Our team of experts can answer your questions and help you to determine the best plan for your home or commercial building. Give us a call at 800-371-2284.